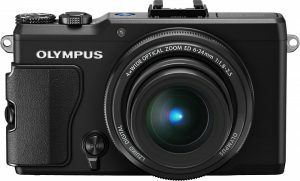 Successor to the critically acclaimed XZ-1, the new Olympus XZ-2 adds a whole set of features that will make it the envy of competition brands. Starting with a 12.3-megapixel backlit CMOS sensor, a 28-112mm (eq.) f/1.8-2.5 Zuiko Digital lens and customisable controls that make it easier and faster for photographers to get exactly the shot they want. It also has touch-sensitive tilt screen, the same TruePic VI image processor used in the OM-D E-M5 compact system camera, Full HD movie recording and Eye-Fi/FlashAir compatibility for sharing images directly on your social network..Another bonus for seasoned photographers is the fast-response autofocus that you activate with a simple tap on the 920,000-dot, 3-inch hypercrystal LCD. 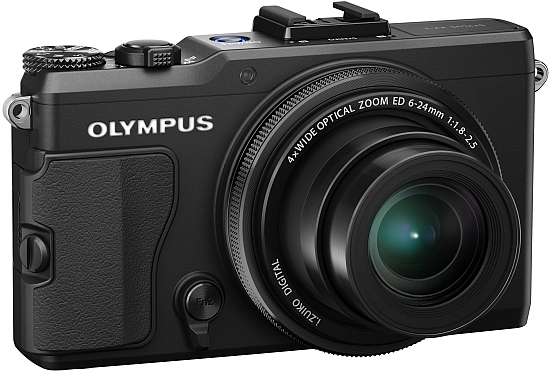 CENTER VALLEY, Pa., September 17, 2012 – Olympus pushes the compact digital camera to a new X-treme with the introduction of the Olympus STYLUS XZ-2, its game-changing, flagship high-performance point-and-shoot. 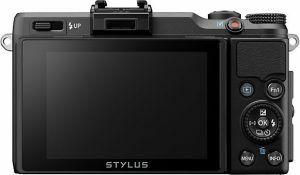 The STYLUS XZ-2 is a hybrid that combines optical brilliance, the manual controls of a DSLR and the unbeatable convenience of a lightweight compact in a body every imaging enthusiast should love. Inheriting the 4x optical / 4x Digital zoom iZUIKO® DIGITAL f1.8-2.5 large-diameter lens found on its predecessor, the award-winning Olympus XZ-1®, the Olympus STYLUS XZ-2 builds on its low-light performance with new features: the world’s first hybrid control ring, customizing controls so ambitious photographers easily capture the shot; a new fast, touch-sensitive tilt screen; the powerful TruePic VI image processor; Full HD movie recording and FlashAir® compatibility to share images immediately on social networks. The newly developed 12.0 megapixel, 1/1.7″ high-sensitivity back-lit CMOS sensor, working with the TruePic VI processor, the same processor used in the Olympus OM-D E-M5™ system camera, provides faster recovery time and shutter release to capture images with true-to-life colors, rich details and low noise. To complement the speed of the f1.8 lens, the camera’s low-light mode automatically adjusts the ISO sensitivity up to ISO 12,800 to take sharp, full-resolution photos in dim conditions, and an easily accessible built-in pop-up flash and AF illuminator brightens low-lit subjects, reduces red-eye and fills in dark areas. 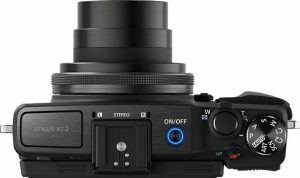 The Olympus XZ-2 is equipped with the world’s first hybrid control ring, built around the lens, which allows users to easily assign function settings to their preferences as well as switch between analog and digital operation of the ring. The digital operation provides a solid click on controls, whereas the analog operation offers a smooth, gliding feeling. When the Fn 2 lever next to the lens is placed downward, the ring around the lens switches to analog control so it can be used as a focus or a zoom ring. If the lever is placed at an angle, the ring around the lens switches to digital control to change exposure-related settings quickly and easily. This feature enables fine-tuning of the focus in macro, composition selection when shooting, and exposure adjustment all without looking away from subjects.